Today kicks off 30 Days of Biking, where people far and wide commit to getting on their bikes and– you guessed it– riding them for the 30 days in April. 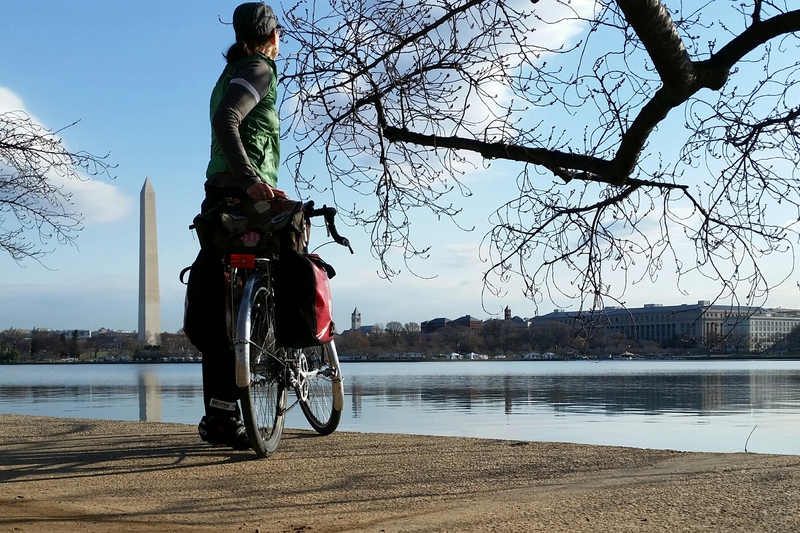 As someone who rides year-round, I didn’t initially see the benefits of 30 Days of Biking, but I had such a positive experience with it last year that I decided to make the pledge again. I’m combining my 30 Days of Biking with a personal challenge to read poetry every day in April. I used to love reading poetry growing up. However, my interest in it lapsed or was overtaken by other activities until recently. During times of uncertainty and fear, poetry has soothed and helped me through, and I now have a desire to add a dose of lyric into my daily routine. I thought you might enjoy the images captured in Marion Strobel’s “Man and Bike,” which is available to read in full here. I think her poem a fitting way to ride into the month. Errandonnee note: Still finalizing finishers, miles, and errands, but hope to have a full list this week. I mean it this time. Thanks to all for their participation and patience! I listened to a podcast with the person who started 30 Days of Biking. I think it is fundamentally about connecting people who ride, and those who want to ride, with each other. April sets up well for connecting both of these groups, since the weather warms and the days are warmer. I see what you mean about the incentive (my challenges are about connecting and meeting a particular goal), but I’m okay with 30 Days of Biking being so basic. Let’s ride! I found the same problem with the site but, I have challenged myself to ride each band every day of April regardless of the weather or any other excuse and, have challenged others to do the same. I will say that it would be helpful if the 30 Days of Biking site did provide a little more information up front, even if it was just to state “Our mission is to get people to pledge to ride their bike every day in April. It’s that simple.” It’s almost as though they expect you to have figured that out by the time you reach the 30 Days of Biking site. I agree that their site could provide more information. I signed up for the first time this year. I’d love to see some common way for everyone who is participating to support each other. I missed the errandonnee this year because I didn’t learn about it until it was almost over, but I love the structure it provides. I’ll keep an eye out for it next year!